Sony users can finally use Profoto studio flashes in TTL mode, as the Air Remote TTL-S is now in stock. Profoto’s TTL trigger for Sony, the Air Remote TTL-S, is now in stock. The Profoto Air Remote TTL-S grants Sony users TTL control and high-speed sync with the B1, B2 and D2 flash heads. Like the Air Remote TTL-C for Canon and TTL-N for Nikon, the new 2.4GHz controller sits in the camera hotshoe, allowing photographers to trigger and remotely adjust their Profoto flashes at ranges up to 100 metres (330 feet) in TTL mode or 300 metres (1000 feet) in manual mode. You can control up to three groups of lights on one of eight frequency channels, with ratio control in TTL mode, or 9 stops of power adjustment in manual mode. High-speed sync lets you shoot at shutter speeds up to 1/8000 second, which is handy for overcoming bright sunlight and freezing fast action. 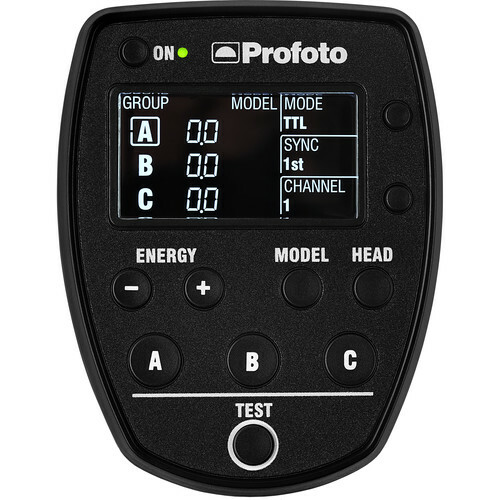 The Air Remote TTL-S also works as a manual remote control for Profoto’s non-TTL flashes that have Air receivers built in. You can buy it now for $411 from B&H Photo, which says it is shipping now. Adorama still lists the Air Remote TTL-S for pre-order. In the UK, the Air Remote TTL-S is in stock at Calumet Photographic, priced £330. Other TTL studio flashes with Sony support include B&H’s own Impact Venture TTL-600 system and the Flashpoint Xplor 600.